Welcome to our ICO buyers guide where we will explain what an ICO is, how they work, the potential risks and pitfalls and how to get involved and invest in an ICO. This is not financial advice and purely to explain the process of investing in any ICO of your own choosing. ICOs are fascinating and offer the potential for massive returns but with anything of this nature, the path is riddled with risks and you could easily sprain your ankle. Being aware of the downsides and managing your risk will go a long way to ensuring you don't invest into vapourware and lose money. Over the past 12 months ICOs have generated some mind-blowing returns, and while past performance is no guarantee of future gains it's not surprising that a lot of people are coming out of the woodwork to ask about how to get involved. For the beginners, it's worth starting by covering what an Initial Coin Offering actually is. If you already understand the principle then feel free to skip to the good stuff. Initial Coin Offerings are the cryptocurrency equivalent of an IPO which stands for Initial Public Offering, a financial tool used to sell shares in a company that is going public. However, the main difference is that an ICO is also a form of crowdfunding and doesn't entitle you to shares in a company, instead you get tokens or coins once they launch, so they are somewhat different in that respect. There are a couple of other key differences. Firstly an ICO is decentralized and therefore has no central authority running it and secondly, ICOs are not held back by the same bureaucracy and red tape that most IPOs are since they haven't yet been regulated as heavily as IPOs. In fact, ICOs haven't been regulated for the majority of their existence although that has changed and is still evolving as many ICOs avoid the USA and other regions due to potentially being deemed a security if their token doesn't pass the Howey Test. In 2017 ICOs really took off as the trendy fundraising mechanism for all kinds of tech startups with an idea they wanted to launch on a blockchain and in most cases, these projects don't even need to build their own blockchain, instead, they can run on an existing blockchain like the Ethereum network and create their own ERC-20 token. In fact, Ethereum launched as a result of the first ICO when they raised $18 million back in August of 2014. The barrier to entry and the massive popularity have been a catalyst in making ICO one of the sound bites of the past year or two in cryptoville leading to the likes of Telegram and even Kodak to announce ICOs. So to recap, when you invest in an ICO you are not buying shares in a company, you are buying tokens issued by the blockchain project creators. The idea is that you invest in a project at an early stage, in turn, helping to fund development and then when the creators are ready to release the tokens you get sent the amount you purchased when the ICO was running. If you used MyEtherWallet and paid funded the ICO with Ethereum then you will likely be sent your tokens back to that wallet. Democratization - Projects can bypass the traditional regulatory barriers and asking banks, large institutions and venture capitalists for funding. Instead, anyone can invest if they like the idea being proposed in the white paper and with much lower buy-ins. Profit Potential - Everybody is looking for "the next Bitcoin" by investing in a wide range of ICOs at what they consider to be very low prices with the view that if they do take off then the percentage returns could be astronomical, but remember high payoffs come with high risks. See some of the ICO returns at ICOStats. Lack of Regulations - Regulations in traditional financial markets exist for a reason, to keep consumers safe from nefarious investment schemes and other scams and to ensure good practice is being followed. The ICO space is still new and as such proper regulations are yet to be implemented thus increasing the investment risk dramatically. Look out for red flags, if the government can't help you then you need to help yourself. We will go into some of the things to look out for to keep yourself from falling foul of scammers. 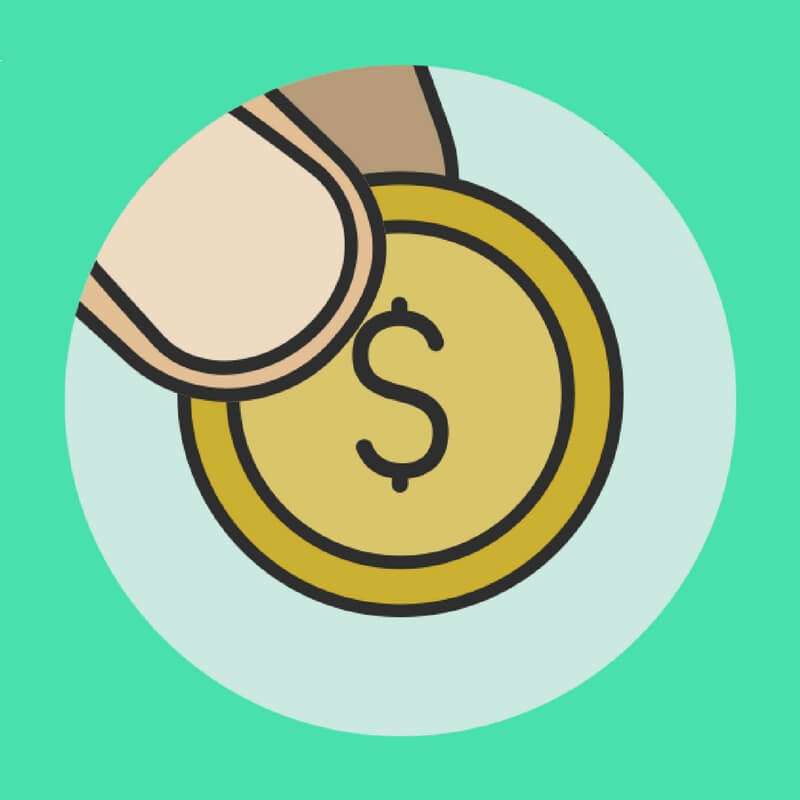 No Working Product - As ICOs are for the purpose of crowdfunding, this is usually in the aim of raising funds to invest in completing or in some cases starting a new product. As such at the time of the ICO you are buying into an idea and nothing more, and as such it could be vapourware and never see the light of day. The first thing to note is that an ICO may issue tokens but it also may issue coins depending on whether they are launching their own blockchain or issuing tokens on another blockchain that has laid the groundwork already like Ethereum or NEO. The naming can also depend on the purpose of the blockchain that is being funded however tokens are the most common the phraseology in the cryptocurrency space is ever evolving and many feel digital assets is a much better term than referring to intangible tangible items. 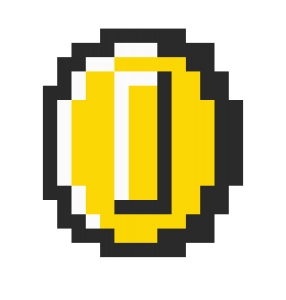 Let's face it how can you have a coin that doesn't exist? Another difference between a coin and a token is that a coin is typically only used if the crypto in question is to be used as a currency and form of value exchange, however, a token can be used both as a form of currency representing an underlying asset or specifically within a DApp (decentralized application). If you want to use the DApp then you need the specific tokens used to power that ecosystem. There are a few types of token. Usage Tokens - These tokens act as a native currency for the platform created by the ICO founders and can be exchanged for other cryptocurrencies or fiat money. Essentially a usage token is a form of currency. App Tokens - Some tokens instead of acting as currency provide you with specific rights to use their platform or app. With MANNA (Decentraland) the purpose of the token is to buy virtual land, however, some tokens have more than one use which brings me to a third token type. Hybrid Token - Not all tokens have a singular purpose, some benefit take a hybrid approach of providing multiple purposes on the blockchain or platform. All tokens represent value in one way or another but serve different purposes depending on their design. A great real-life example I once read was to take an old games arcade, you pay $1 to play on a pinball machine and get 3 pinballs, so you are exchanging your $1 for 3 pinballs (tokens) and their purpose is to be used within the game and 3 pinballs will offer you 3 plays. You can't play the game without them, so they have value to you or anyone else who wants to play the game. I find this is a good way to think token usage in the world of crypto. It is also important that some form of mechanism is set up to make sure the value of the tokens are tied to the success and value of the app or project. There are a few ways this can be achieved and the model that is chosen can have a big impact on the value of the token. There are a few ways this can be achieved, the first involves requiring payment for services within the app like in-app purchases to be made exclusively with the native token. Demand for the products and services thus drives demand for the token, which in theory will increase its value. The "Token Burning" approach involves taking a percentage of tokens used for buying products or services on the platform and "burning" them, which means removing them from the supply which increases the value of the tokens that remain by the percentage that was burned. Another option is to redistribute a percentage of the revenue generated by the platform to the token holders proportionally based on the number of tokens they are holding. 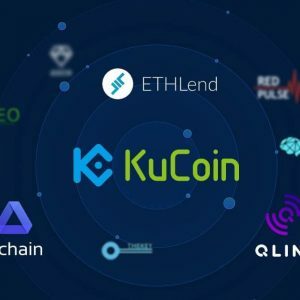 Exchanges like KuCoin do this with their Kucoin Shares (KCS) and can be described as a kind of pseudo-share. If a smart contract is used this whole process can be autonomous and not require any third party trust in the platform developers or founders. If properly created then an ICO is perfectly legal in many parts of the world at the moment, though the regulations are constantly changing and this is an area of crypto that many governments want to clamp down on. China went as far as banning ICOs in 2017 and many ICOs purposefully refuse investors from the USA and other countries to avoid getting into murky waters with specific regulatory bodies. The most important part is that the founders are open, honest and don't misrepresent their project as something it isn't, and as long as it abides by the local laws of the investors that take part it's usually completely above board. The problem is that there is very little recourse if something goes wrong and the founders vanish without a trace, something that has happened with countless shady ICOs and that is why a considerable amount of homework is involved before considering an ICO investment. Okay so now the basics have been covered we can move to the juicy part. Learning out how to manage your risk while investing in a hot new ICO. There are a number of websites and tools online you can use the keep an eye on the latest ICOs and ICOs that are coming soon. It's important to have a head start as a lot of ICOs now require you join a whitelist to register for the ICO in advance. Due to popular demand some, ICOs can even close this whitelist early if they receive a lot of interest. Here are the best tools and resources for staying ahead of the game and knowing what interesting ICOs are live or coming soon. Using the tools above you can keep an eye on specific ICO dates, register for updates, browse ratings. 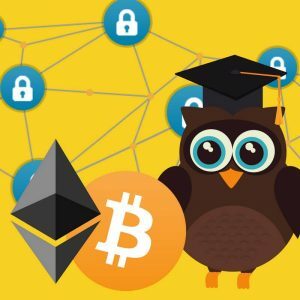 If you are interested in exploring ICOs but not sure of any projects that interest you yet then this is the best place to start. If you have found an ICO project that looks interesting and viable and is launching an ICO soon, the next thing you need to do is evaluate the project using various criteria to fully assess if an ICO is a good investment opportunity. Looking at the fundamental analysis for an ICO is essential and many of the key factors you need to look at are the same as when researching existing digital assets, so head over to our guide and go through the important criteria that need to be assessed ranging from altcoin economics, marketing and how to evaluate the team and concept. It is important to have a checklist to help you analyze an ICO against a series of criteria. Can it be explained in one simple sentence? This was quite appropriately referred to as the Mark Twain test by Cedric Dahl in a video about his ICO methodology that you can find here. It is important that you understand the concept and that it can be easily explained to others. 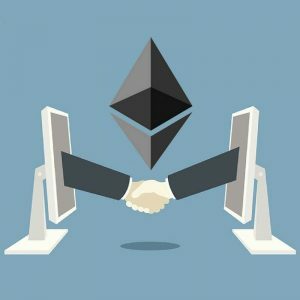 Ethereum is trying to revolutionize contract. Civic is trying to revolutionize identity. Filecoin & Storj are trying to take over file storage. Does the Project have first-mover advantage? or are others in the space already attemting to solve the problem? First-mover advantage is not to be overlooked, being first out the gates with a strong idea eliminates the chance of people interested in the idea investing in an alternative solution. Bitcoin for example holds the first-mover advantage in the cryptocurrency space which has lead to a powerful network effect keeping Bitcoin as the highest marketcap project still to this day. How Valuable is the market the project is attempting to disrupt? is it likely to be in a sea of competition where prices are driven down and the profit is limited or is it a revolutionary idea that stands leaps apart from anything else out there with a chance to really dominate its respective niche? How large is the immediate market? and is it something that can penetrate a large series of different markets? Remember all blockchain projects are essentially tech companies/projects, so they are startups, and one thing that is well known about startups is that about 80% fail within the first two years, only a fraction will have long-term success and market penetration. There are however some considerations that pertain exclusively to ICOs and not existing crypto projects. How long is the period between the end of the ICO and the token release? How long until the project will launch an actual product? What is the ICO fundraising target? Based on the number of coins they are issuing at ICO and the price per token, how much do they plan to raise? Have the founders/creators had experience with other blockchain projects? Are they well connected to other founders? Dig into their history. Look for red flags! Some ICOs have gone as far as to put fake advisors and team members on their websites. Where are they based? Do they have real offices? Do they have a proof-of-concept? 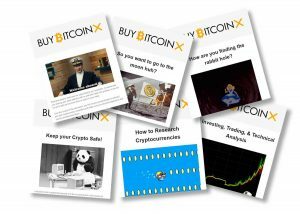 While most will only have a whitepaper some may have an alpha product you can try. If they have a GitHub go and check it out to see how regularly they are updating their codebase to get a sense of how active they are working on it. Does the problem require decentralization and need a token? If the product can work without the need for a token then it really shouldn't have one. Be weary of companies tacking on a token to their new idea purely to ride the hype train. Many companies are jumping on the bandwagon and benefitting from adding the word "blockchain" to anything they are working on. Any serious ICO will at least have a whitepaper, they may not have a proof of concept or alpha product yet but if they don't have a whitepaper click the X and move on. You want to evaluate the whitepaper to get a better idea of the problem they pose to solve, how they plan to solve it, how thoroughly they have researched the idea and how realistic it is to achieve. If you need a good benchmark to compare the whitepaper with, use the original cryptocurrency whitepaper by Satoshi Nakamoto. Of course keep in mind Satoshi had no idea of how big an impact his experiment would make and didn't cover things that a modern whitepaper would such as a focus on the team and marketing. The team, this may include both founders, dev team, marketing and advisors that are onboard. Token distribution - how many tokens the founders are retaining and if they are locking them up via escrow. Planned use of funds - is the money being raised going into development? marketing? or elsewhere? An ICO should also have a development roadmap to scope out their immediate to long-term focusses and offer a rough timeline of events and launches. It should include clear stages of the project and include between 12-18 months worth of development typically. Here is an example of a good roadmap. Sentiment refers to how positive or negative the attitude of individuals regarding a certain topic. With cryptocurrency, this is especially helpful as you can crowdsource opinions and research from the community to get a sense of whether the public opinion is bullish or bearish on a project. Most people tend to suffer from a sheep mentality and go with the crowd and since social media is such a popular space for people to loiter online and "have their say", this is a great place to engage in sentiment analysis for cryptocurrencies. Need a second opinion? Gone are the days where you would have to knock on your neighbors' door, you can tap into the thoughts of thousands of other individuals discussing the topic in a matter of a few clicks. Search the ICO name or ticker code with a # or $ before it on Twitter and look at the latest and top tweets. Then check the "people" tab and follow the official accounts related to the project. This is a great place to start. You can also head over to the website and follow their other links to social communities, chances are their website will list links to Slack, Telegram, Discord and maybe a few other community spaces where investors and those interested can discuss the project along with the investors and official representatives for the project. Engage and ask questions and you will be able to learn a lot about the project and how people feel about it. In addition to gauging public sentiment using social media, you also want to see if the founders or developers are being proactive in answering questions and sharing updates in the public domain. If they are starting with social marketing early on then this is a good sign. The method of participation will vary from ICO to ICO and based on the funding method being used. Some projects are only funded using ETH while others will allow Bitcoin or other altcoins as a means of investing. Before you can invest in an ICO you need some cryptocurrency and a wallet. In the vast majority of cases any ICO you are interested will publish specific instructions and documentation on how to participate in their ICO however there are some areas worth discussing. Whitelists - Many ICOs will only allow you to participate if you have registered your interest in advance. This isn't always the case but if you are interested make sure you are quick to sign up, this doesn't mean you are committing to anything remember. Funding Method - Find out which currency or token is being used. If Ethereum, buy some in advance or strategically buy it on a dip so that by the time of the ICO you may actually get some extra tokens for your money. Wallets - Make sure you are funding the ICO from a wallet where you control the private keys. Don't use exchange wallets where you don't control the private key to fund an ICO. MyEtherWallet.com is a popular and easy to use option if you are investing in an ICO on the Ethereum network. Once you have invested in an ICO and the crowdfunding has closed you will be kept up to date by the projects team or founders via email and social media. The time between the ICO closing and the token release may vary from a couple of weeks to several months so patience is key and you will want to be sure you know this in advance of investing. Social Media - Make sure you are following the official accounts of the project on Twitter, Facebook and any other social accounts you use and where possible turn on notifications if you want to be kept up to date. Communities - If you haven't already, join the communities that the project has set up such as Slack, Discord, and Telegram, then you can engage with other investors and the team during the waiting period and all share ideas and contribute. Launch - When the project finally launches and you have been issued your tokens to whichever wallet the project is setup to fund you have a couple of options. You can hold for the long term in which case you can usually keep your coins where they are and keep your eye on the news and price movement or if the coin has been listed on any exchanges you can move them over there and either sell them all or a small portion. Most tokens list on smaller exchanges at first with EtherDelta often being the first. 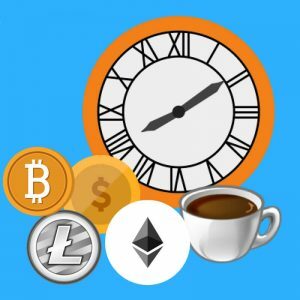 Other popular exchanges that list coins or tokens early on in their lifecycle include Cryptopia, Kucoin, Binance, Liqui.io, and BitGrail. A lot of people recommend selling 50% of your tokens once they reach 100% growth, this way you have broken even on your investment but still have half of your coins to hold for the medium to long term, however this would be a bad move on many of the projects that have increased 10 or 20 times since their ICO. Beware of Astroturfing - The process of creating fake news to drive the price and create artificial public sentiment on websites like Reddit, Twitter, YouTube, Forums and other popular watercoolers in the cryptosphere. Ask yourself, where did you hear about this ICO? Was it from a friend, coworker or family member? Somebody you trust? or was it brought to your attention by a troll-like Twitter user? Preferential Treatment - Pre ICO rounds and Pre Pre ICO rounds mean that insiders, those close to the project, influencers and institutional buyers may get an earlier buy-in opportunity at a preferential price or with bonus tokens for signing up early or committing to a large investment. This doesn't always mean it's a scam but it's something you need to be aware of and recognize that you may not actually be getting the best price just because you got in at the ICO stage. Patience - After an ICO has completed and the funds have been raised there is often a period where the founders and developers actually go to work and use the funds raised to build their project. In some cases, smart developers have begun to get as much ready as possible but in many cases, there is a 2-12 month wait before the project will go live and you will receive your tokens. Red Flags - If it sounds too good to be true, it probably is! Any ICOs that mention guaranteed gains are scammy and you should step away. When vetting the website of any ICO look for the following potential red flags. An unprofessional looking website, branding, logo or project name. This matters because 0.003BTC per token is a big difference when Bitcoin goes on a 4X price increase while you are waiting for the ICO tokens to be allocated to your wallet. Here is a list of the best websites and tools to use in your ICO research. You are going to need several things to keep your ear to the digital ground. A cryptocurrency calendar sites to help you research and review ICO's and learn who to follow. Some of the below tools have a lot of overlap in what they offer, but one of the key rules of doing your due diligence with any investment is consulting as many sources as possible for further confirmation. Don't believe any one source on the internet, about anything, don't even trust me! Coinist - One of the best ICO tools to report on historical data, ICO ROI, the Biggest ICOs of all time and the cumulative growth of the ICO space. ICOStats - Has some similar info to Coinist but the user experience and charts are perhaps more attractive. ICOAlert - One of the best websites for finding out more information on upcoming and live token sales. ICODrops - ICO Calendar and updates service. ICOBench - Another high-quality ICO ratings and news website. TokenMarket - Similar to ICOAlert and also provide great assessments of various tokens and cryptocurrencies. Bitcoin Talk - This forum is one of the first places a new whitepaper will be promoted and begin a new discussion thread where users can discuss. Great for judging public sentiment. Reddit / r/ICOCrypto - A subreddit specifically for discussing and sharing information on the latest ICOs. The space is still very new but already people are carving out a reputation by specializing in ICO investing more than Bitcoin or existing cryptocurrencies. You can also follow a list of experts at ICOBench. Ian Balina is a very interesting person in the crypto space who has gained a bit of a reputation for himself recently for being the king of massive gains from ICO investing, reportedly taking a 5 figure investment and turning it into 4 million in a matter of months, with most of his gains coming from ICO investments returning him 10X through to 40X. Ian is no newcomer to the world of tech and data though with a background working with IBM before deciding he needed to be truly free and become a made man. Ian has developed a fascinating 'Token Metrics' system to help him pick out the hottest new ICOs. You can check him out at IanBalina.com and follow him on twitter @diaryofamademan to keep up to date with his picks, tips, and updates. He gets my seal of approval and is a likable guy.